Megan contacted me about doing her + Matt's engagement session and I was so excited to get to shoot in Mount Vernon with this sweet couple! The architecture is stunning and the cobble stone streets are so charming. 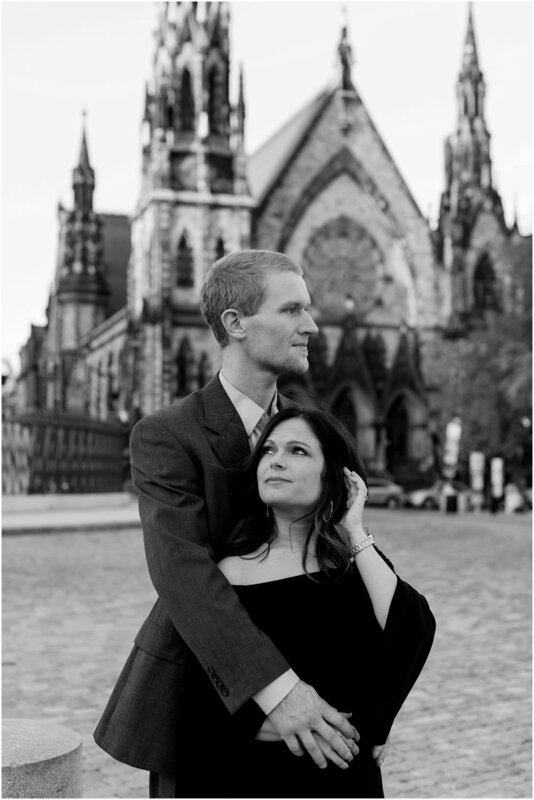 As the session went on, I realized how romantic and "Paris" the images were feeling. But let me back up... As I'm sure you can tell from my portfolio, I LOVE color! I love using light in beautiful ways and editing "true to reality." But this session was just begging to be in black and white! 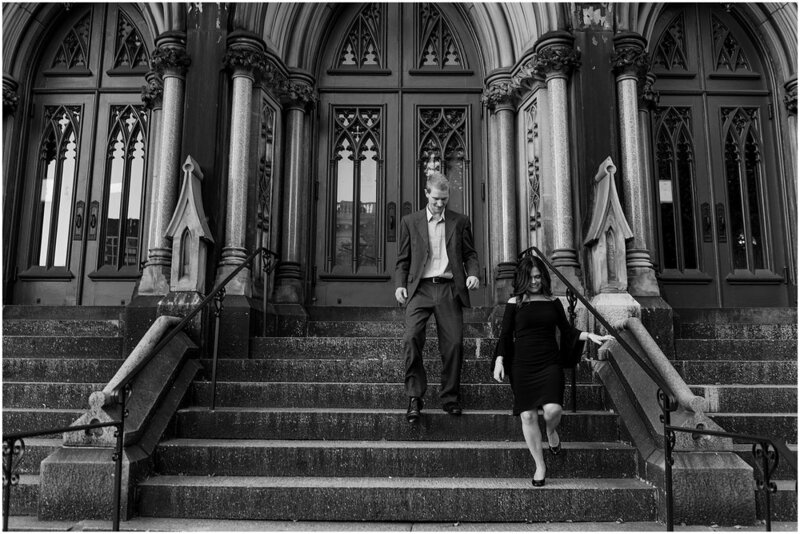 So I'm sharing something a little different - This was the second half of their session and all the photos are black and white. 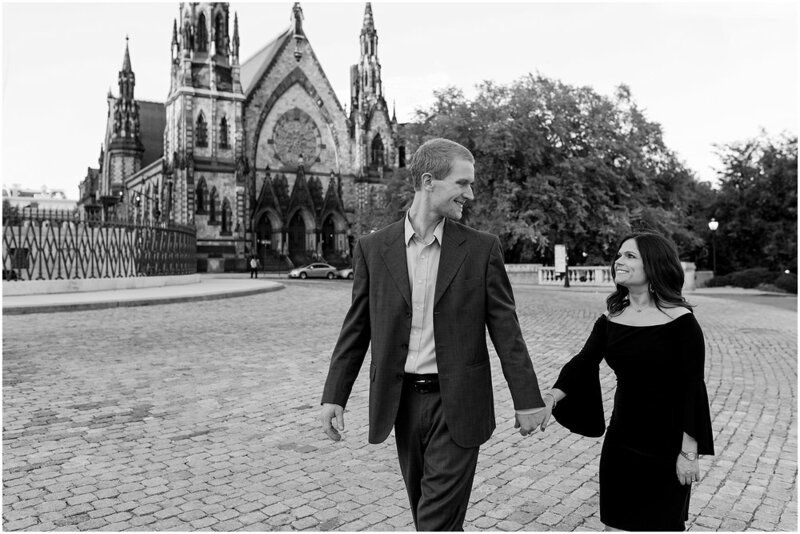 I hope you enjoy this romantic Mount Vernon engagement shoot!